Commercial Cleaning Services In Hialeah | All Building Cleaning Corp. Commercial Cleaning Services In Hialeah | All Building Cleaning Corp. Looking for a professional Cleaning Service in the Hialeah area? All Building Cleaning Corp. serves Northwest Miami-Dade County with its strategic location in Hialeah. Enjoy the benefits of one of Miami’s top professional cleaning services, but closer to your office or business in this region of South Florida, which includes Miami Lakes, Westview, and all parts of the region. From our Hialeah location, clients can take advantage of All Building Cleaning’s top reputation for commercial cleaning. No matter what the need. 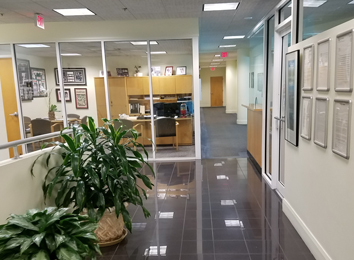 Our services include janitorial services, office cleaning, commercial floor cleaning, commercial carpet cleaning, commercial window cleaning and anything else your office or industrial facility might require. 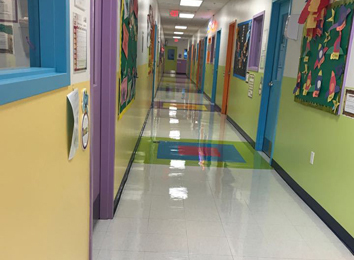 Reliable outsourced janitorial services from our Hialeah location allow for cost-effective and reliable outsourced cleaning for any business. Our Hialeah location means we can better serve this area of South Florida with quick response times and teams of qualified professionals to meet your needs in English and Spanish. Office buildings, retail stores, healthcare facilities, and manufacturing plants are all great examples of businesses in the area that rely on our services. Whether you’re coming to us because you’ve heard our reputation for quality care and exceptional customer service, or you’re looking to maximize – and customize — your cleaning needs, we will create a plan for you. Our Hialeah office is designed specifically to fit the needs of the area. Our supervisors, managers and staff are local and know the community. They are bilingual, which is important for an area where 92 percent of the population is Spanish speaking – the highest percentage of any city in the United States. At All Building Cleaning Corp. our devotion to both professionalism and responsiveness is primary, which is why we opened in Hialeah. A standard clockwork approach to day-to-day cleaning services, like bathrooms floors, carpets and windows is what we do, but often our customers might have an emergency, say a fuel spill at a plant or a special event for the office, we can be there. By being local, however, we are on call 24 hours a day, 7 days a week. All Building Cleaning Corp. has been handling all building cleaning tasks for 20 years and our reputation across all of South Florida is unsurpassed. Miami-Dade County is the largest county in Florida and the 7th largest county in the United States. And we cover it all with the top technology and the most rigorous standards of professionalism in the industry. Our workers are heavily vetted and heavily trained. They are true professionals, which means you will never have to worry. And we can customize a plan to fit any size business, saving you money. If you are in West-Northwest Miami-Dade give all us for a consultation.